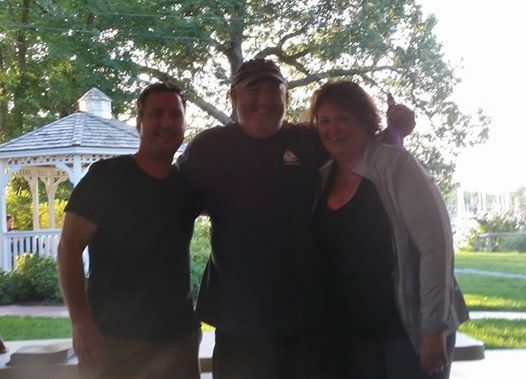 Errant Co-Host Chris Smoker, Skipper Jeffrey, and Mate Nora Seggel at the awards ceremony after the race. Join Skipper Jeffrey Wettig, Nora Seggel, and Chris Smoker aboard S/V Pegasus as we compete in the 2017 Edition of the Walden Rigging Sippy Cup! The race was run from 7pm August 4th through the night on the Chesapeake Bay from Elk Neck in the North East River to Annapolis. It was a heck of a race with lots of wind up until the Bay Bridge, then it got shifty as we passed underneath in the dark, and finished just as things were starting to lighten up in the East. Top that off with a Crab Boat Kerfuffle, and a motor that refused to co-operate the next day for the trip home. Even after all that, it was still a Heck of a Race! Hear our before, during, after, after after, and after after after conversations! I’m sure I’ve already divulged the results, but I’ll leave the story to unfold as it happened. Warning, there is a lot of background noise to some of this, whether it be wind, or the motor, it may be best listened to with a pair of headphones, as it may be difficult or annoying to hear the conversation otherwise. I hope you enjoy! Sail On!